From the Home screen, tap the Verizon Messages app (Message+) . To locate the application it may be necessary to slide finger left or right on the Home screen. 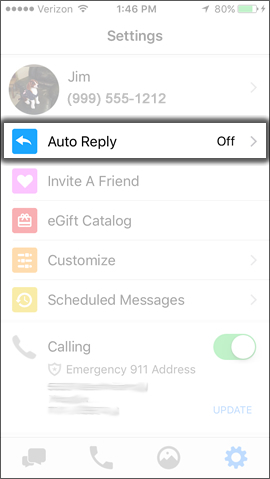 Tap the Settings icon (located in the lower right). Tap Auto Reply to turn off .